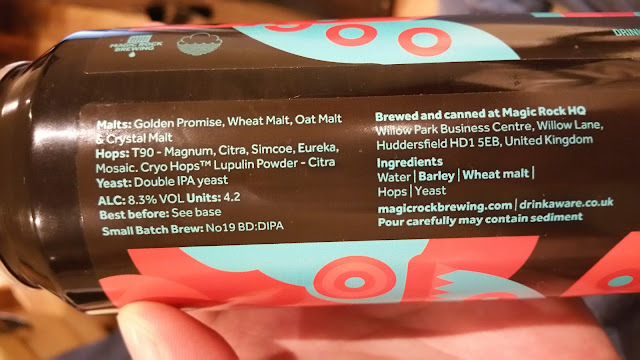 I haven't had a Magic Rock beer in ages so I was looking forward to this. It's an 8.3% DIPA and it's bloody good. A big chewy caramel body with orange marmalade. It's quite bitter to balance that big body and quite pithy. I also found it a little chalky which I'm not sure was a good thing or not but it certainly wasn't a bad thing. There's lots of slick hop oils here and it's pretty juicy. I love it when breweries include all of the ingredients, even hop varietals on the packaging. It gives you an insight into what you might expect. I'm not convinced about lupulin powder though. From what I've heard, it's a waste of money as it costs a lot more than regular hops leaves or pellets. Maybe it's fresher? Anyone used it at home? Would love to see two beers side by side. 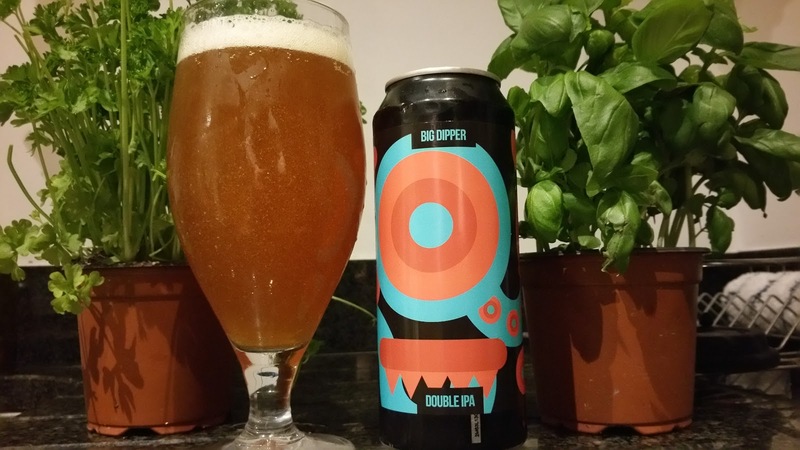 One brewed with and one without lupulin powder.